Our advice will always be tailored to your personal needs and circumstances. 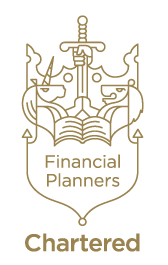 Our long-standing clients will already be familiar with how we work, but if you are new to us, or if this is your first time using a financial adviser, read on to learn how we do things so you know what to expect. Most of our new clients are referred to us, but some also find us via internet searches. Please give us a call, or send us an email with your enquiry, and we will let you know what we can do to help. We will take some initial details about your enquiry, and if an adviser is not available at the time we will schedule a call back at your convenience. If at any time we are unable to help you, or if we feel that we cannot add value, we can refer you to other professional contacts or to websites which will help you find a more suitable adviser. If this is your first time talking to us we offer an initial meeting at our expense. This helps us get a better understanding of your needs and the work involved. If you and we decide to proceed we will ask you to sign a Client Agreement (see sidebar). We will provide you with a personal Services and Payments Agreement which explains how and what you will pay for our services going forward. We will then research suitable options for you and present you with a written report of our conclusions and recommendations. We may present this to you with application forms for any products we have advised you to purchase, or these forms might follow later. If you decide to proceed with our recommendations we will move to the implementation stage. We will help you with any forms required, and at this stage we might request from you some additional documentation, such as proof of your address and proof of identity. This stage might be as simple as a short form and a cheque, or it may involve us co-ordinating with several different companies if we are undertaking a consolidation exercise, for example. When the implementation is complete we will write to you again with any policy documents we have received. Sometimes documents are issued to you directly from the insurance or investment companies you have purchased products from. In either case we will write to you to conclude the excercise and provide you with one of our feedback questionnaires (you can see historical feedback in our Service Standards Report available in the sidebar). If you have selected to receive an ongoing review we will write to you once a year to remind you when this is available. Reviews may be conducted in person, or over the phone, depending on whichever is the most suitable option. In the meantime we will forward you any statements we receive about your new plans, or we will write to you to make sure you have got them if they are sent to you direct. Whether you elect for our review process or not, you are always welcome to get in touch with any questions or concerns you might have. If we can’t answer your question there and then we will get back to you as soon as possible. If something you need from us becomes chargeable we will make this clear in advance and ask you to sign a new Services and Payment Agreement so we both know exactly what is required. We will never surprise you with a bill.